Featured » You otter see beavers! During March, SPES is hosting evening guided walks to offer a glimpse of the beavers in Stanley Park. Guests will discover the habitat and behaviour of these semiaquatic mammals and hopefully be able to spot one swimming around or nibbling on a tree. 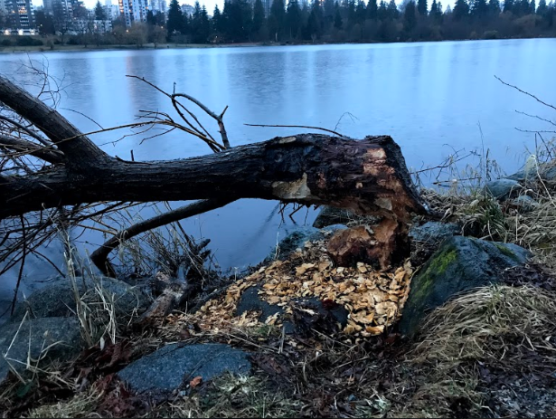 To celebrate this year’s World Water Day, March 22nd, SPES will be hosting Beavers and Beverages, where you can crack open a cold one before heading out on the guided stroll. The following week, March 27th, will be another chance to spot these incredible animals at the You Otter See Beavers event. Chris, a beaver expert from the Beatty Biodiversity Museum UBC, leads the tours around Lost Lagoon where there are two beaver pairs. So far, Chris has been able to spot at least one beaver on all of the walks he has done in the past three years – he must be good luck! 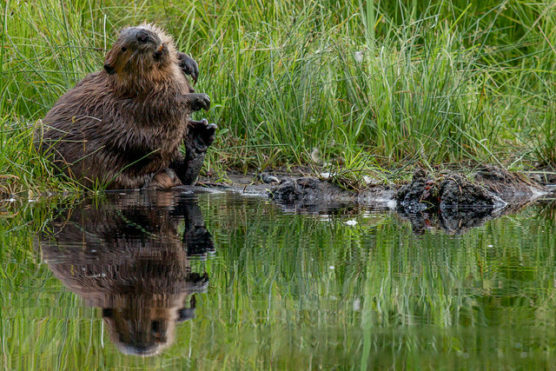 There is also a pair at Beaver Lake and in the past, bigger families have been spotted (usually the beavers’ young from that year and sometimes the previous year). The variety of plant material in the Park offers them lots to eat. habitat for both them and lots of other animals. That beavers can hold their breath for up to fifteen minutes underwater. The large front teeth of a beaver never stop growing, (hence the constant gnawing of trees). Beavers only come out at dawn and dusk, usually to avoid predators. So, get down to SPES’s beaver events and don’t miss your chance to spot one of these mischievous but magnificent animals!